Please note: this product has been discontinued with no replacement. 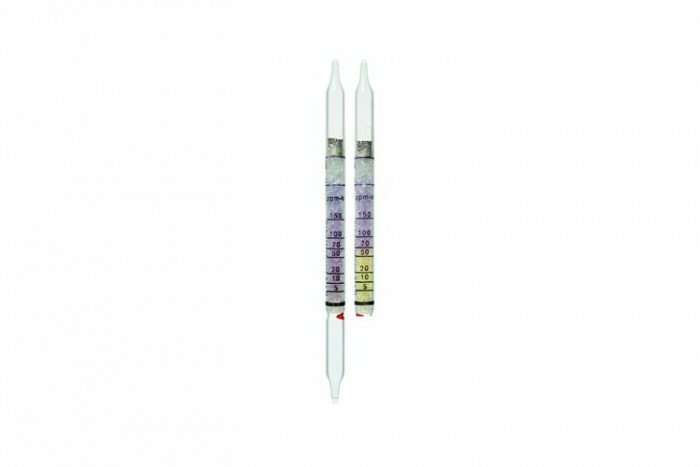 Drager Sulphur Dioxide 2/a-D (Measuring: 0.5 to 20 ppm) Diffusion Tube - Max. Oper. Time: 4 hrs. Note: This product has a shelf life of 2 years. It is impossible to measure sulfur dioxide in the presence of other acidic substances. During a 6-hour measurement, 10 ppm hydrochloric acid produces a pink color up to 25 ppm x h. During a 4-hour measurement, 20 ppm acetic acid produces a yellow color up to 60 ppm x h. Nitrogen dioxide and chlorine also have an influence on the indication.